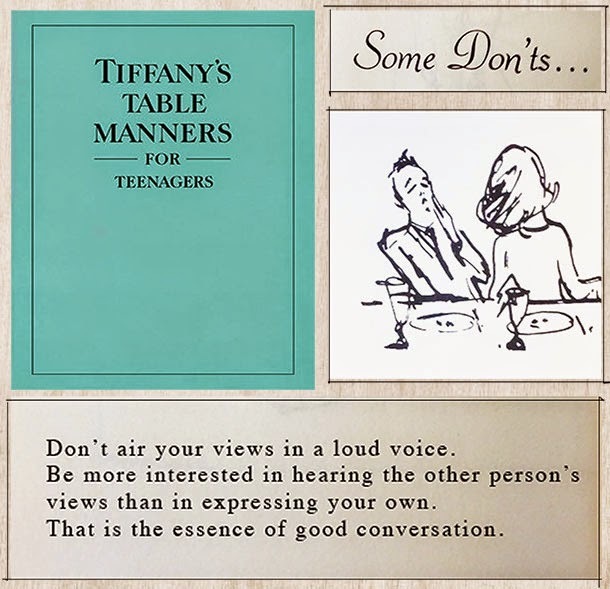 I came across a copy of Tiffany's Table Manners for Teenagers the other day. 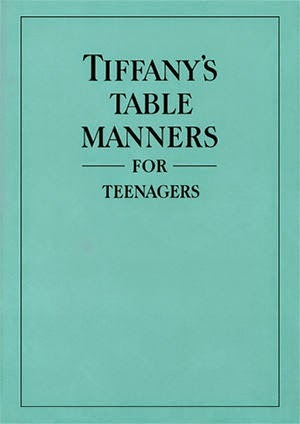 During my tenure at Tiffany in NYC, it was always a classic and popular holiday gift. 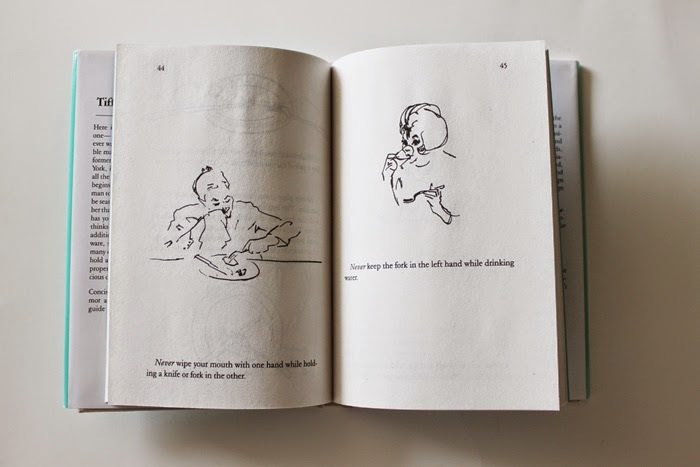 It was originally published in 1961 and is perhaps even more relevant today for children of all ages. 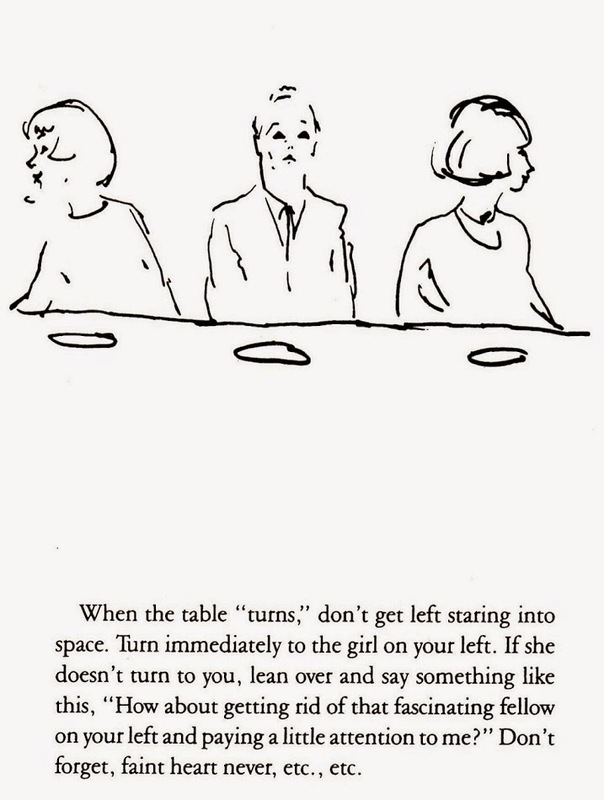 Have you been out for dinner lately?